Let worms eat your garbage! Covert fruit and vegetable scraps into solid and liquid fertilizer for house/garden plants and fruit trees. Dimensions: 22 3/4” L x 15 3/4” W x 25 1/2” H (fully assembled.) 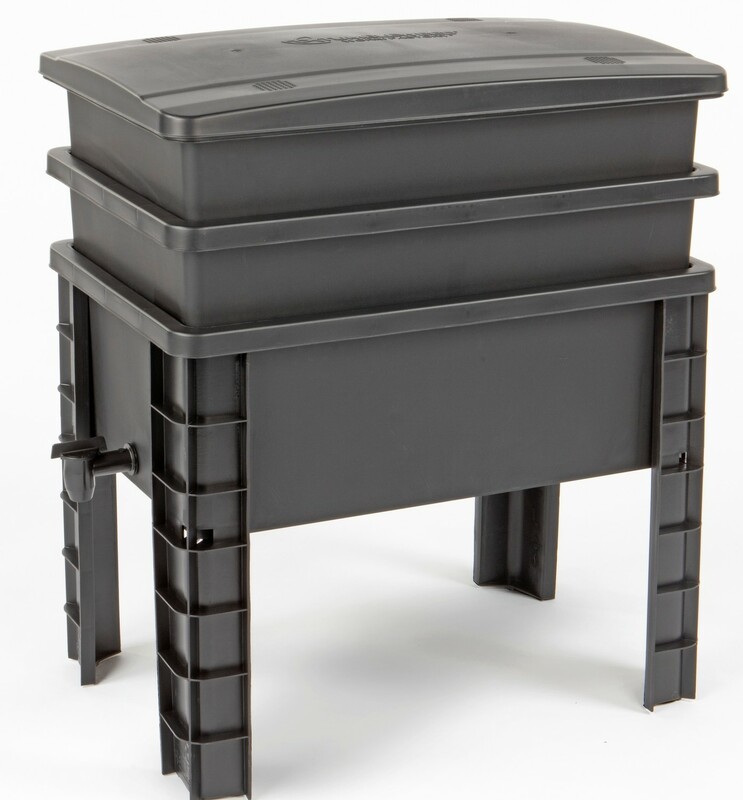 Large capacity – 2 working trays hold up to 17,000 red worms (no additional trays needed.) A patented self-harvesting, stackable tray system which includes 2 self-harvesting working trays, 1 bottom collector tray to capture liquid (worm “tea”) and a cover. Made for individuals of all ages and abilities. Perfect for homes, condos, apartments, and schools. Ideal for indoor or outdoor use and made from 100% black recycled material.